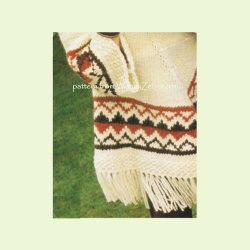 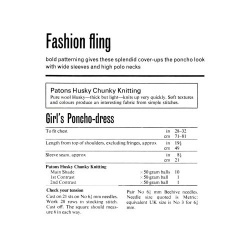 KNITTING: This cover up is an unusual take on the poncho; with a high ribbed collar and sleeves. 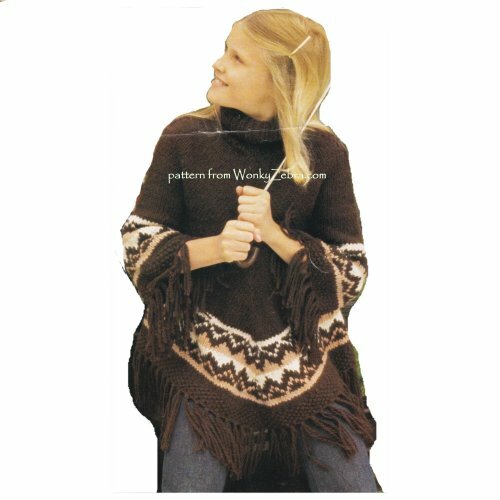 It is such a lovely version of the popular (and very “vintage 70s”) poncho look, which functions well as an unfussy cover up garment perfect for layering , making it much more wearable (IMHO!). 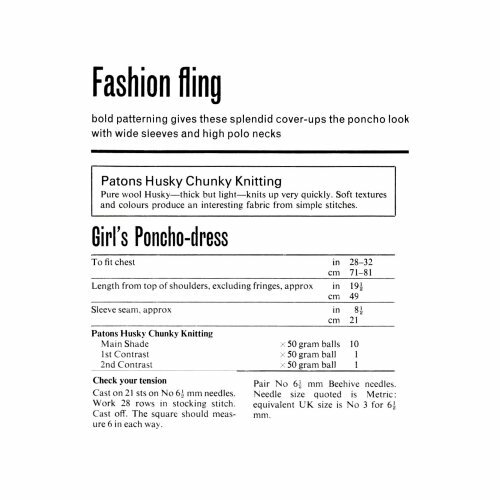 The actual knitting is elegantly designed; it is made top down in one piece from the polo neck and divided for the sleeves. 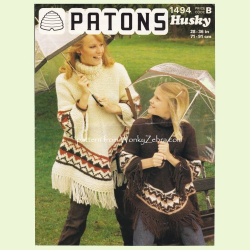 This also gives an attractive diagonal line to the knitting done in soft chunky wool, which is trimmed with bands of fair Isle patterning similar to Lopi, Nordic or Mexican colour work. The hems are fringed and girls view also has fringing on the sleeve. The ladies version has a more practical band of moss (seed) stitch for a neat and workable cuff.